Falmouth Yachtsmen Varsity beat Greely 7-1 in seven innings on Friday at Greely HS after a four-run explosion in the fourth inning. 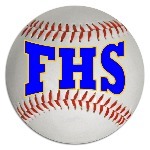 Falmouth Yachtsmen Varsity scored in the fourth on an RBI single by Colby Emmertz, an RBI single by Connor MacDowell, an RBI single by Colin Coyne, and a fielder's choice. Emmertz paced Falmouth Yachtsmen Varsity at the plate. Emmertz went 2-3, drove in one and scored one run. Reece Armitage put together a nice outing. Greely managed just three hits off of the Falmouth Yachtsmen Varsity's pitcher, who allowed one earned run, walked four and struck out three during his six innings of work. Will Bryant ended up on the wrong side of the pitching decision, charged with the loss. He lasted just five innings, walked two, struck out six, and allowed five runs. Falmouth Yachtsmen Varsity closer Colin Coyne put away the final three outs to record the save. The game was never in doubt after the third, as Falmouth Yachtsmen Varsity scored one run on an error. Falmouth Yachtsmen Varsity added two more runs in the top of the seventh. A single by Chris Camelio ignited the offense,, bringing home Connor Aube.